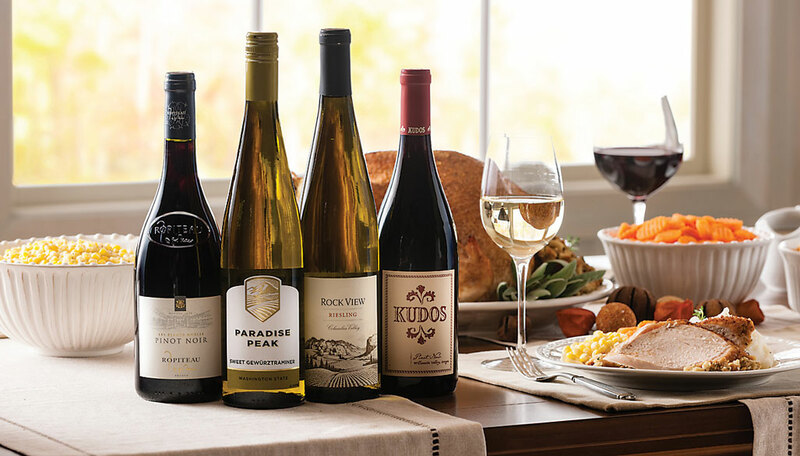 More Favorite Red and White Wine for Thanksgiving, Plus Recipe! Brussels sprouts, traditionally among the last of the seasonal produce to come to market in autumn, are a classic side dish with Thanksgiving turkey. 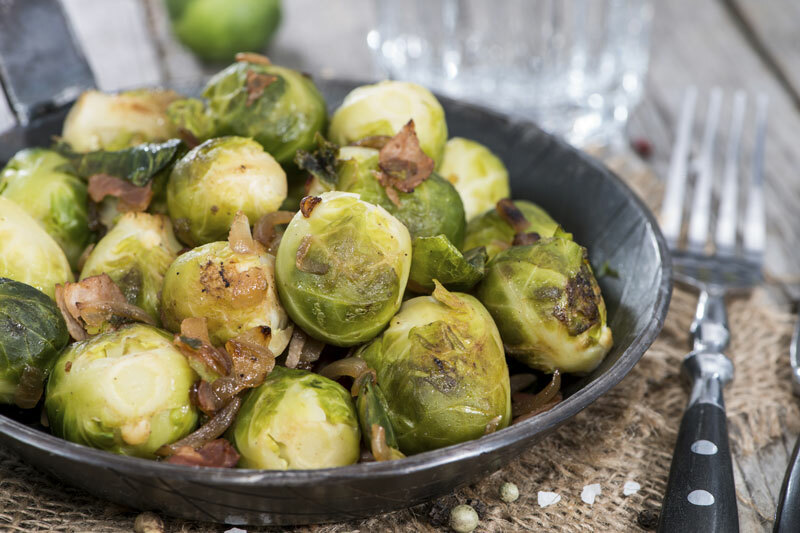 This flavorful Brussels sprouts recipe, enhanced with pancetta and garlic, will delight your guests! A staff favorite red wine for Thanksgiving, Domaine Mas du Bouquet Vacqueyras [pronounced vah keh rahs] impresses with a room-filling bouquet of spices and black fruits. This beauty from the south of France is brimming over with flavors of roasted plum, mocha and lots of spices – ideal with the array of seasoned dishes on the traditional Thanksgiving table. Are you looking for a versatile white wine for Thanksgiving? Let us suggest Summit Estates Gewürztraminer from Washington State. It’s a beautiful example of Gewürztraminer’s perfumed character, with classic aromas of floral, peach, apple blossom and ginger. Bright fruit flavors with a kiss of sweetness continue on the palate, concluding with a note of spice on the finish. Adapted from a recipe by Sean Eastwood, executive chef of La Valencia Hotel in La Jolla, Calif., courtesy of Wine Spectator. 1. Bring a large pot of 4 quarts water and 1 tablespoon salt to a boil, and add the Brussels sprouts. Cook for 5 minutes, drain, and refresh in ice water. Drain, and set aside. 2. Heat the oil in a large heavy sauté pan over medium-high heat. Add the pancetta, and sauté until it begins to turn crisp, 3 to 4 minutes. Add the garlic, and sauté, stirring, until pale gold in color, about 2 minutes. 3. Add the Brussels sprouts, raise the heat to high, and cook until heated through and beginning to brown, about 5 minutes. Season with salt and pepper. Add the stock, and simmer until it reduces just enough to coat the Brussels sprouts, about 3 minutes. Serve immediately.